Moms take so much effort preparing food everyday for the family. Today is Mother's Day and after the first meal I've prepared, I found it hard to think of what to cook for dinner. Just when I thought that I'd just dial 8-7000 for Jollibee Delivery, I received a call from a friend that they have prepared to deliver something for me from Jollibee. 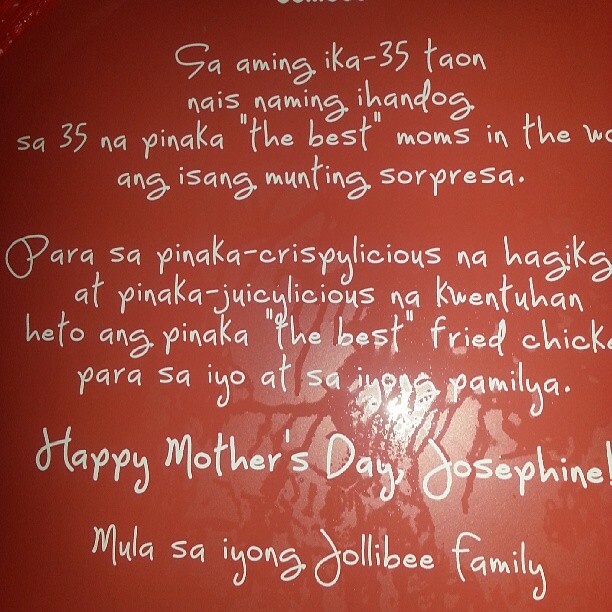 It was a big box with three buckets of our favorite delicious, crispy-licious and juicy-licious Chicken Joy and when I opened the lid, it contained a personalized message. My heart melted seeing my name on the message. 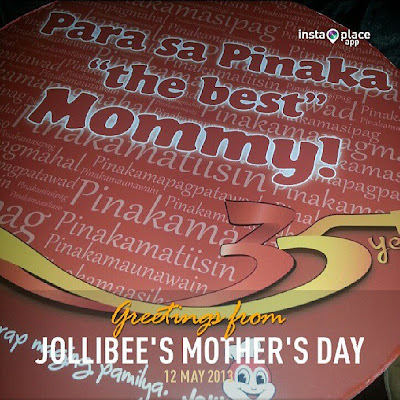 I have been a Jollibee fan since it was always convenient to call on moments that I needed something delicious and cheap. 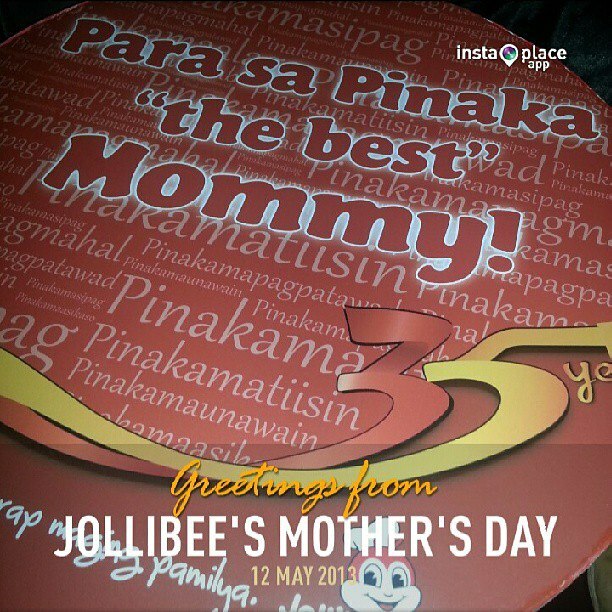 My patronage grew over my best friend from Canada Lori Hampton taught me how Jollibee helps through its Jollibee Foundation. 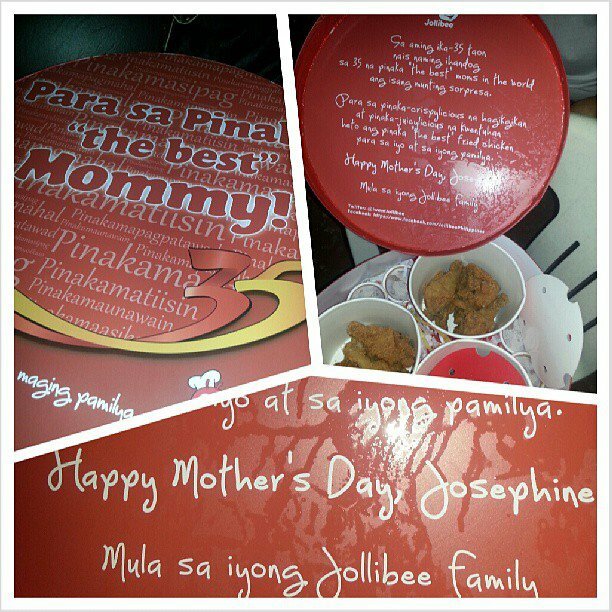 Jollibee never failed at my expectations on delivering good food and service with its constant commitment to help. 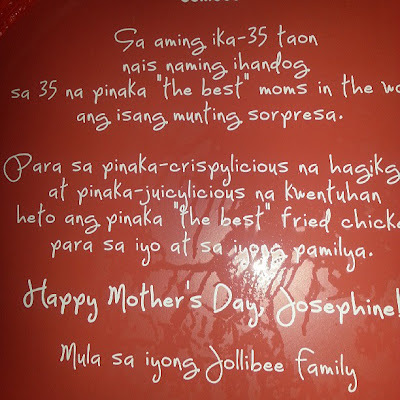 I will never forget the time Jollibee sponsored also the Division Schools Press Conference of Quezon City Online Writing Contest last October 2010.